Tom Lohr is an avid fan of science, space travel and exploration. He has spent 13 months at the science station at the South Pole. Now that winter is nearing will undoubtedly be looking skyward with your children trying to explain just how those tiny reindeer pull all those toys through the sky. Or you may just find yourself flat on your back in the front yard after stumbling home from the company Christmas party and not quite making it all the way to the front door. Either way, after the success NASA has had with a little fax machine size robot roaming the Martian landscape, and the spectacular finish to the Cassini Saturn mission you have to be asking yourself: just what the heck is up there anyway? The fact is not every point of light that you see in the sky is a star; some are planets. The third brightest object in our sky, after the sun and the moon, is the planet Venus which you have probably mistaken for an early evening star. You can even see Saturn if you know where to look for it. And you must have seen the bright light to the southwest not long after dark, that would be Jupiter. But those aren't just the planets dancing around up there, the sky is full of other objects that you can easily identify if you just know when and where to look for them. You have probably seen them and mistaken them for aircraft. They appear about as bright as a star but move across the sky fairly quickly. Not as quick as a shooting star, but rapid enough that your head will be in continuous motion as you follow it across the sky. Aircraft have a strobing anti-collision light that will keep you from confusing satellites with airplanes. 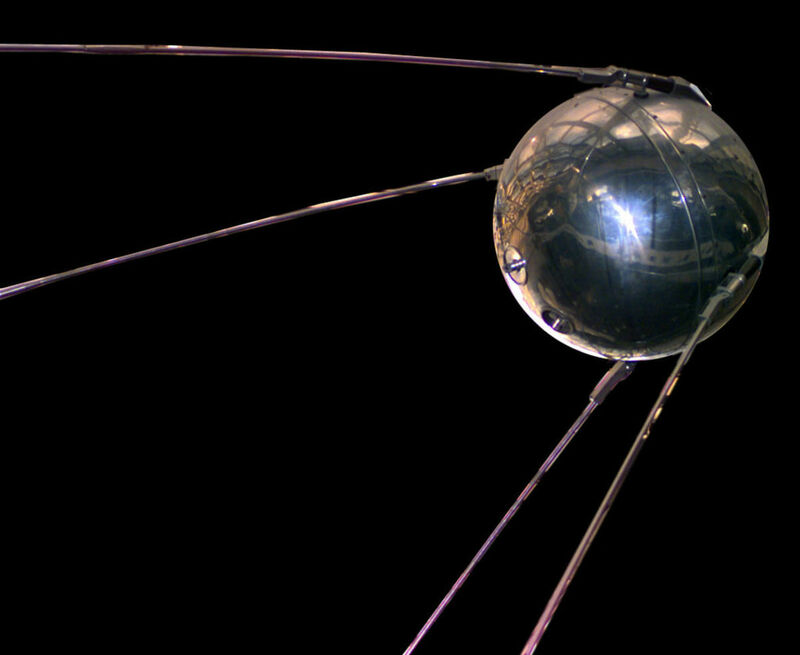 If you look long enough you will be sure to see one, there are literally thousands of satellites in orbit around the earth. 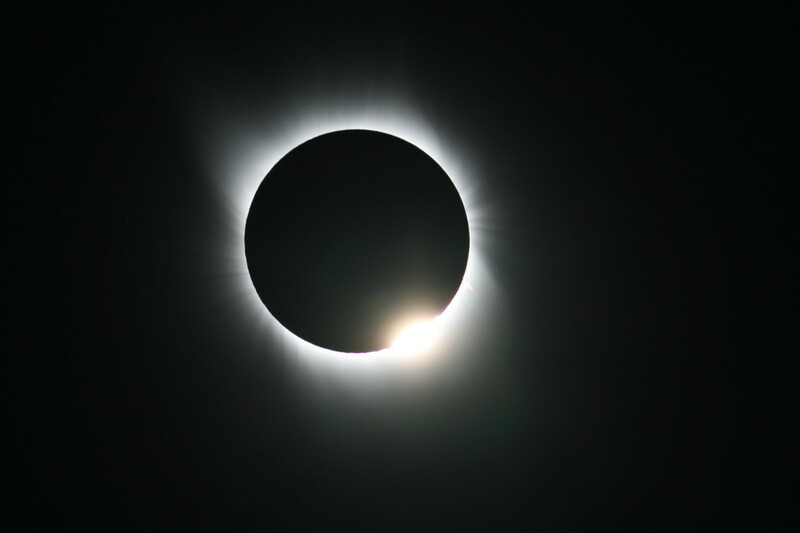 Most are made of highly reflective metal that, just like the moon, reflect the sun's light back toward the earth. If you know when and where to look you can even see the International Space Station. It looks just like a satellite but a tad bigger and brighter. 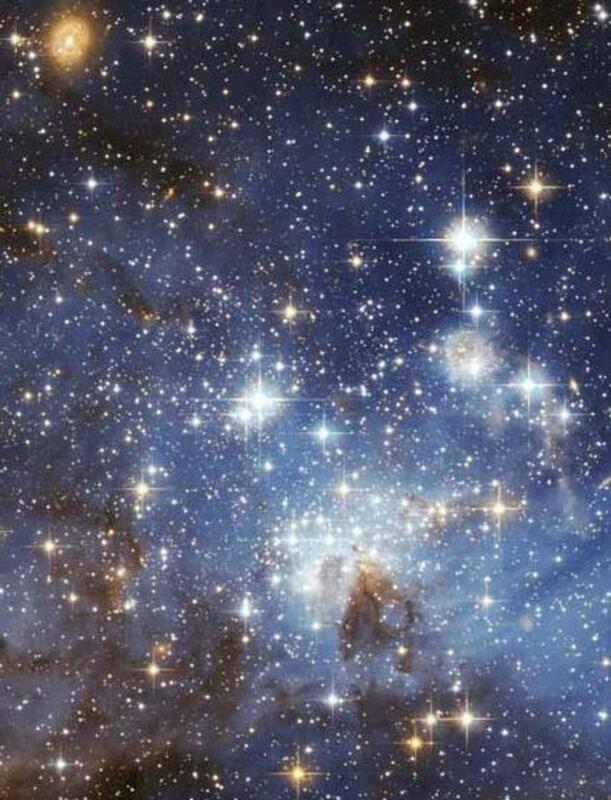 They are not really stars at all, but merely cosmic dust or rocks entering the earth's atmosphere. As they enter, just like spacecraft, they get extremely hot from the friction caused by an object traveling thousands of miles an hour through a gaseous atmosphere. What you see are meteors. 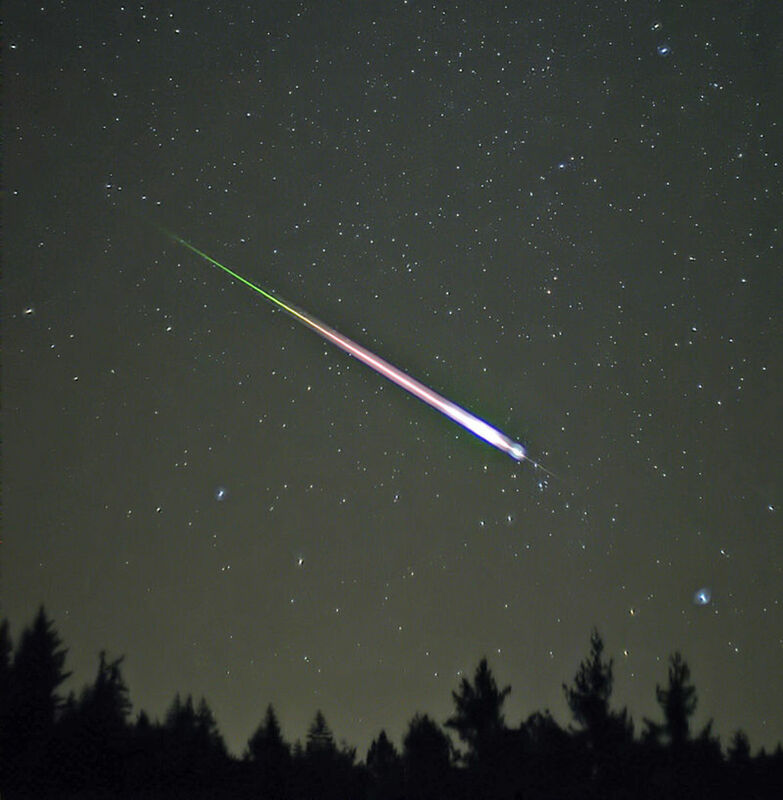 Not to be confused with meteoroids which are the same objects as they travel though space, or meteorites which are meteors that were big enough to survive the hot reentry and crash to the earth. Meteorites do strike the earth though, albeit rarely. Sometimes they make big holes. Really big holes. Look at a map of North America, the Gulf of Mexico looks just a little too round to be naturally made by drifting continental plates. You guessed it, a HUGE meteor smacked into the earth there, just a few years before you were born. Looking at the Milky Way really puts you in your place. 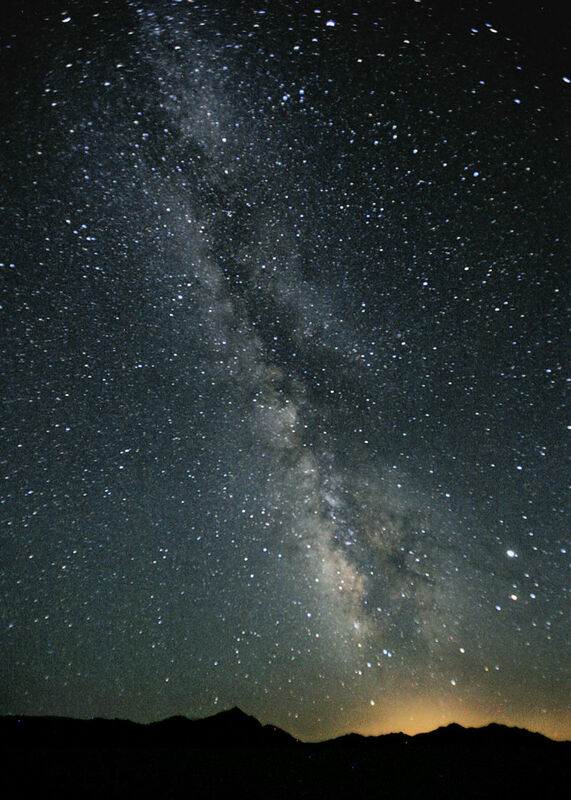 The Milky Way is actually a strand of stars that runs from horizon to horizon across the clear dark sky. The clearer the sky the more pronounced it seems. What you are seeing is part of our own galaxy. A galaxy is a group of millions of stars all within a small area of the universe. They come in several shapes and we just happen to live in what is called a Spiral Galaxy. Meaning that our galaxy is sort of shaped like a Frisbee. Flat and spinning with a couple of arms extending out from the main disk. 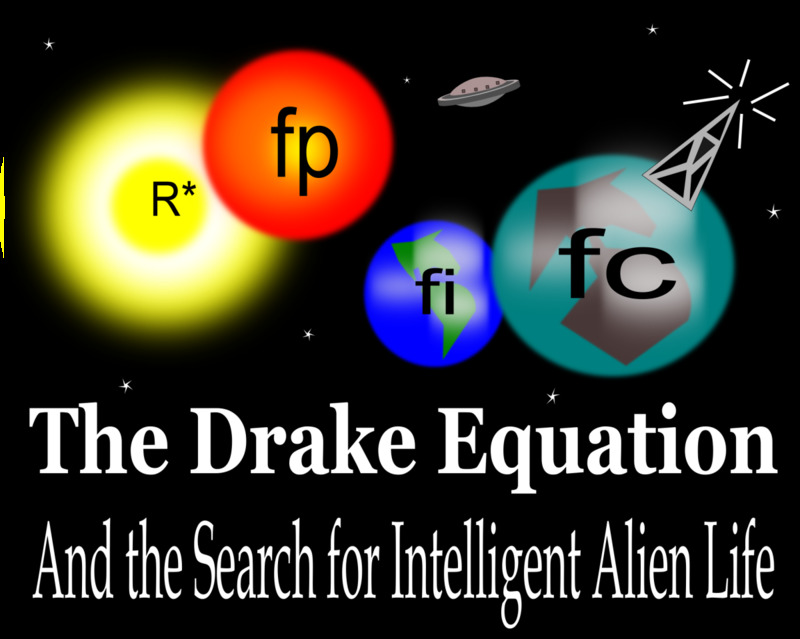 Since we are somewhere around the outer quarter of the disk, if we look out of our own galaxy or back toward it, at the same level as the disk, then we are staring through the thick discus part of our spiral galaxy. The Milky Way is the fat part of the disk. 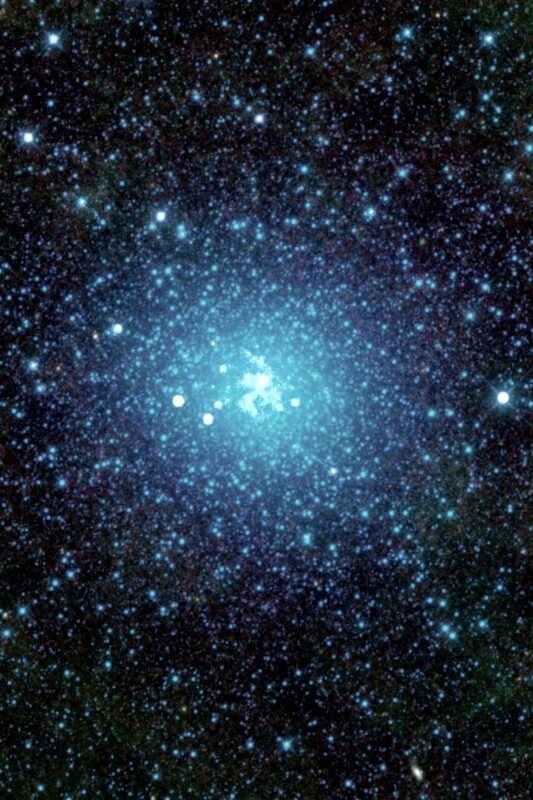 The ancient astronomers thought that is was so peppered with stars that it looked milky. Hard to believe we can see part of our own galaxy right from our own back yard. Want to be even more astounded? 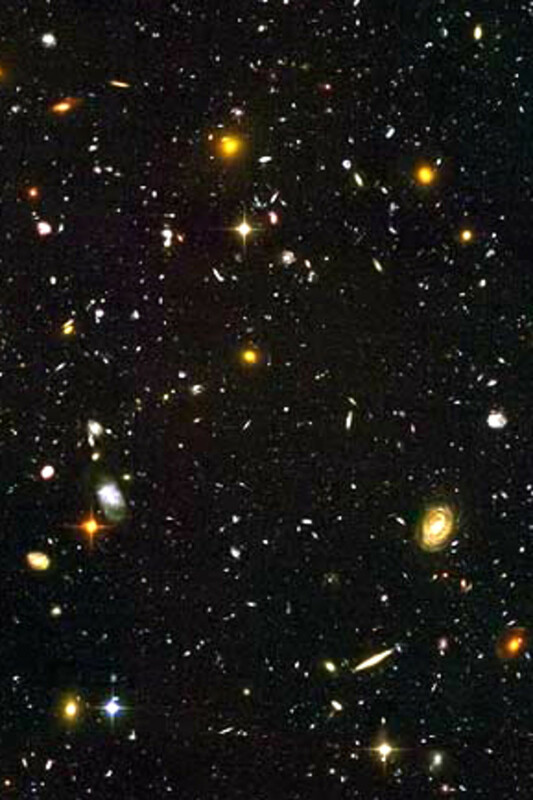 Scientists claim that there are as many galaxies in the universe as there are stars in our galaxy. Still think we are alone? 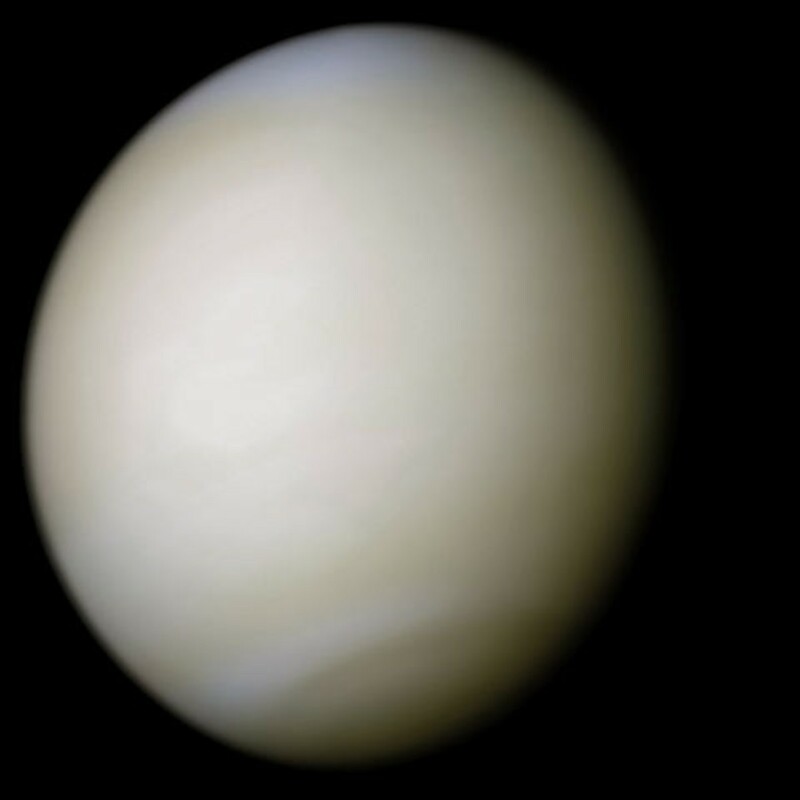 Venus is often called the evening star. You can see it sometimes just as the sun goes down. Do not look for it late at night, planets, just like the sun and moon set, below the horizon after making their evening appearance. Venus sets early, and because it orbits between the sun and earth, goes through phases like the moon. Even with some powerful binoculars you can sometimes see that it is only really half-visible. Because Venus has a thick atmosphere it reflects a lot of light from the sun, the disadvantage of that is you cannot see any surface features on the planet. Surface features? Seen on another planet from earth? Certainly. In the early part of the morning look for the brightest red light in the sky. That would be Mars. It is red because its surface is rusting, literally. So the light reflected back from the sun is red. Now you know why Mars is called the red planet. 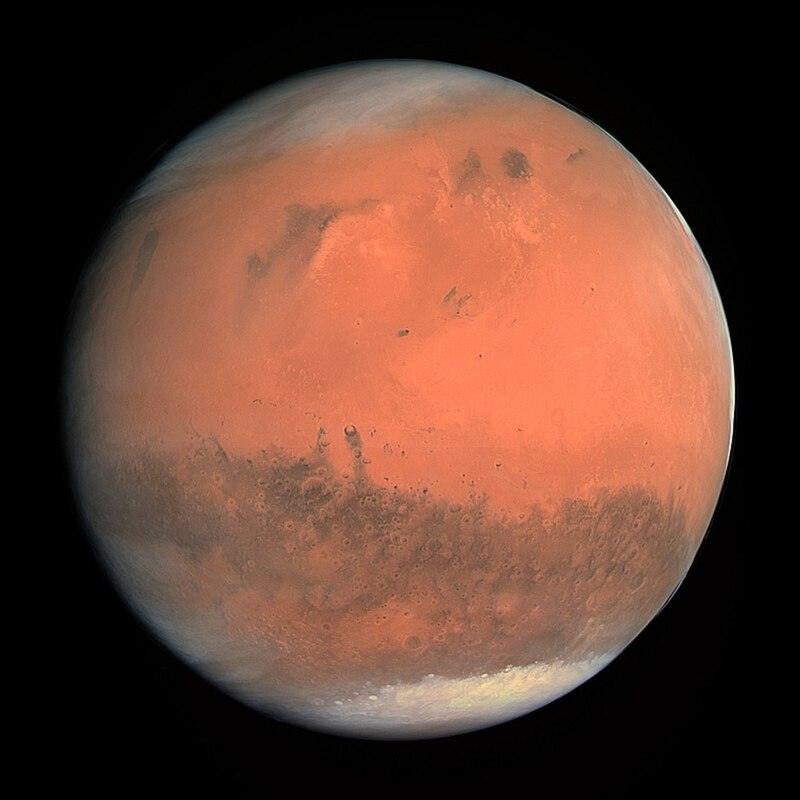 With a 12 or 14 inch telescope, in winter, you can probably see a little white on the top and bottom the red planet. Those are Mars' ice caps on the north and south poles. They recede quite a bit in summer and can only be seen with a larger telescope. Look hard at Mars, your great-grandchildren will probably have a chance to see people live there. If you are 40 or younger, chances are you will get to see a human walk on it. Very bright in the sky, not as bright as Venus, but because it is out when it is really dark, long after Venus has dropped below the horizon, it looks ominous. Through a modest telescope or strong binoculars you can see the stripes on the planet that are really bands of weather in its atmosphere. Near Jupiter you can also see the four largest of its moons. It really is the coolest thing to see in the sky since you can tell it is a planet when you look at it. Venus and Mars usually look like colored disks, but Jupiter really shows its stuff. Jupiter is farther away than Venus and Mars, so why is it easier to see its features? Because Venus and Mars are more or less the same size as the earth. 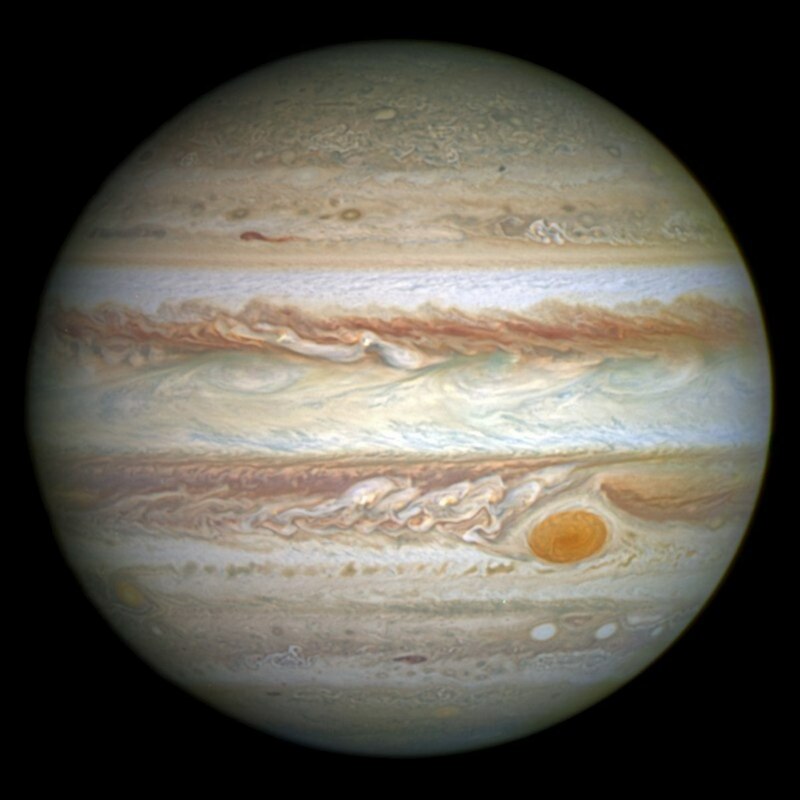 Jupiter is about 100 times bigger than we are. In fact, it is the largest planet in our solar system. Next to Jupiter Saturn looks most like a planet, mainly because of its rings. It can be hard to pick out of the sky sometimes but just remember that all the planets travel in the same line, called the elliptic, so if you can back trace the path that runs from Venus, Mars and Jupiter then you will have a good shot at finding Saturn. Look for a brighter than usual star. Take a look through your binoculars. If it is a planet then it will look disk shaped, whereas stars only appear brighter as you magnify them. Look close and you can probably see what Galileo called the "planet with ears." Those ears are the rings of Saturn. 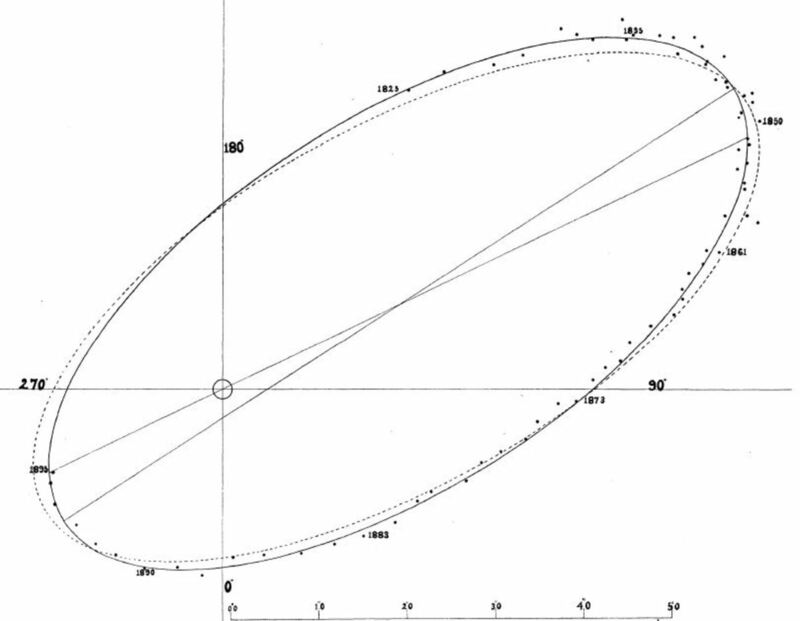 Depending on which way it is tilted at the time the rings can be more pronounced. If you can see a little black space between the rings and the main body of the planet, the rings are said to be open. 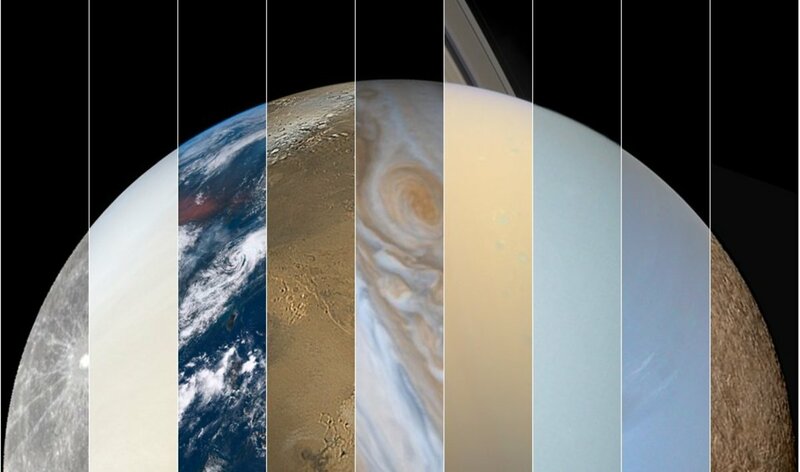 You can also see a few of Saturn's moons orbiting the planet. In December the sun sets around 5:00 PM, start your search for planets at 5:30 so it is darker. Look west-southwest, just above the horizon, that bright object is Venus. Once found, your search for the others will be much easier, after 5:30 Venus sinks continuously lower until it has set below the horizon, so do not start late. Follow that imaginary line from Venus up and to the left to about 53 degrees elevation you will see the magnificent light that is Jupiter. The bright light to the right of Jupiter is the star Deneb and just below Deneb is another brilliant star called Vega. Follow the planetary elliptical line further back, all the way up to 62 degrees elevation and swinging southeast (as the imaginary line should lead you) and there you can find Saturn. You might need a pair of binoculars to convince your friends that this is really Saturn. Mars, which was quite easy to distinguish at a reasonable hour in the spring is a bit more bothersome in winter. Your best bet is to rise early for work to get a glimpse of it. At 5:30 AM it is in the southeastern sky at an elevation of 52 degrees. That means turn your head southeast, look up and spot the bright red speck in the dark. That is Mars. After proving to your friends that you are the second coming of Carl Sagan, around 6:30 PM swing to the east and point to the four brightest stars and call them Rigel, Capella, Castor, and Pollux; which are their actual names. You might want to remember that Castor and Pollux are next to each other and are the twin stars that make up the constellation Gemini, that will really impress your audience. At 6:30 they sit close on the eastern horizon. If you cannot see them right away then just wait a bit and they will rise higher in the sky as the night progresses. Now for the granddaddy of them all; where is the North Star. North of course but where. It is not much brighter than the rest of the stars in that direction. To find it use this trick. Look north and find the Big Dipper, if you cannot identify the Big Dipper then do not even attempt it. If you are like the other 98% of the population and can find the big dipper (which incidentally is part of the constellation Ursa Major) then look at the to stars that make up the front end of the cup portion. Those are called the pointer stars. They always point toward the North Star (which is called Polaris). Take the approximate distance in the sky that the Big Dipper occupies from the front end to the end of the handle. Look that distance from the pointer stars (in the direction that that water would flow if it were being sucked out of the cup portion of the dipper) and there you will find a slightly brighter than normal star; the North Star. In December the entire Big Dipper is not completely visible until after 10:00 PM. The pointer stars be seen as early as 7:00 PM, they lie just 10 degrees east of direct north, low on the horizon. The rest of the Big Dipper creeps slowly above the horizon as the earth rotates. Another bit to astound your friends, Polaris is the last star in the handle of the Little Dipper, plus it has not been and will not always be the North Star. Since our spiral galaxy is spinning outward, it will be some other star that moves into that position long after we are all dead. Some of the more outer planets are also visible but look only like stars and are not worth the bother to hunt them down. If you want to impress your children or friends, take them on a tour of the sky some night. Just do your homework first so you know where to find the objects you are looking for. Since the holidays are coming, you will have countless opportunities to strut your new found astronomical stuff. Here is a run through a typical winter evening. Remember that planet rise and set times change slightly every day, but data for one day can usually be used for at least a week or two to get you a ballpark position. You must first understand that all planets travel in the same plane in relation to the sun. This means that they all follow the same line through our sky, making it easier for you to find them. Armed with all of this celestial information, run into your back yard as soon as it is dark. In the city light pollution can be a problem, but the city limits are always just a short drive from downtown. Stargazing is also not an active sport so dress warmly. In the back of your mind when you are explaining to your children or friends about all of these cosmic orbs, ponder who might be looking back at us. 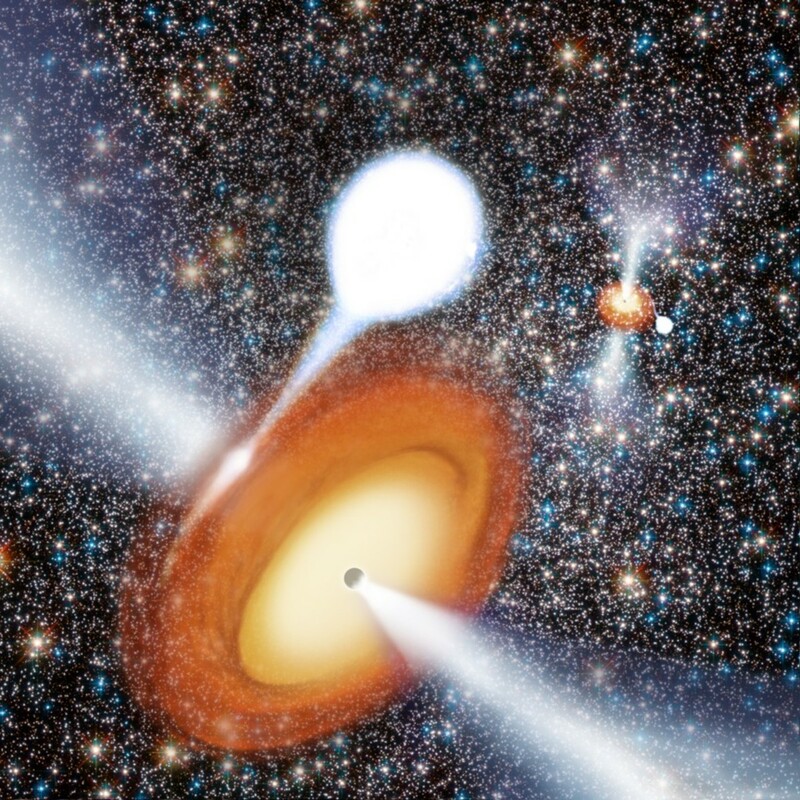 How Many Types of Black Holes Are There? Not the military. The Navy turned it over to civilian control in the 1990s. I worked for Raytheon as part of the team that supports the National Science Foundation. Nice job, particularly on how to find the North Star. Have to ask: how did you end up at the South Pole? Military?